Rover Model: D. Maas - Synthetic Image: Z. Gorjian, K. Kuramura, M. Stetson, E. De Jong. Explanation: If you could see one of the robot rovers currently rolling across Mars, what would it look like? To gain this perspective useful in planning explorations, the above synthetic image was produced digitally. Above, a digital model of the Opportunity rover was added to a real image of the inside of Endurance Crater on Mars taken earlier by Opportunity itself. 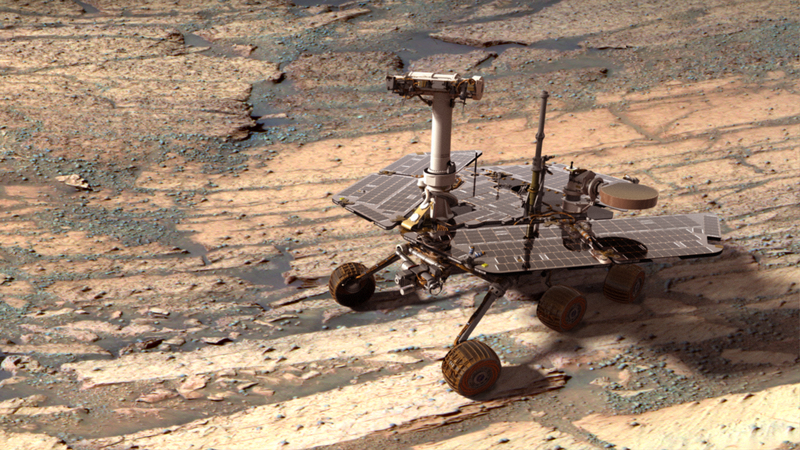 The size of the six-wheeled robot was scaled to the size of the tracks that the Opportunity rover actually created. 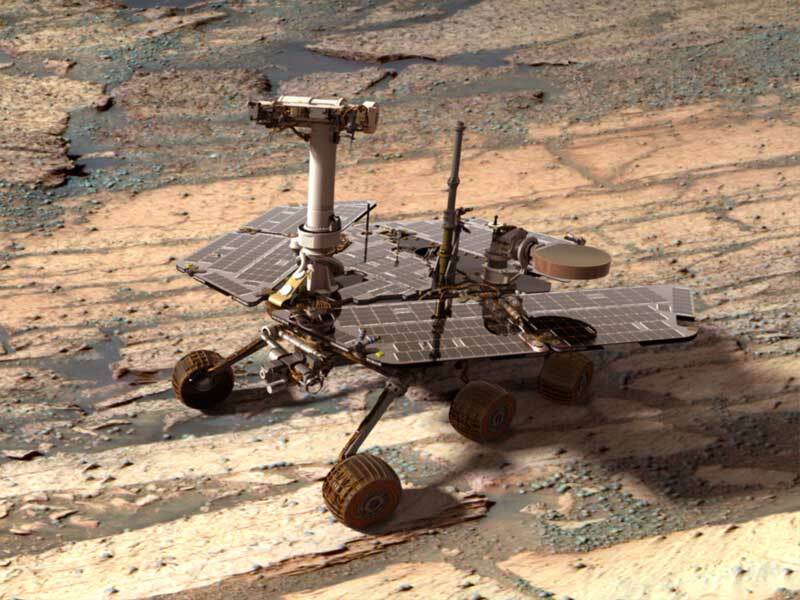 In actuality, both the Opportunity and Spirit rovers currently rolling across Mars each span about two meters and so are similar in size to a large rolling desk. Also visible in the image is dark soil, ancient light rock and numerous small gray pellets known as blueberries.